M3 Consultancy is a young and vibrant management consultancy firm leading in the field of operations strategy and supply chain transformation. Our appealing clients, which are located in the Netherlands and abroad, mainly operate in the transportation sector, the manufacturing industry, and the B2C business. We support them in order to enable their growth, to improve their economics, and to enhance their customer facing performance. We believe that much will change in this domain the coming years, but also that there is still plenty to gain today. At M3, we take a fact-based approach to efficiency. Fast and pragmatic. In our projects, we combine in-depth supply chain expertise with bottom-up analytics. We know the aviation and manufacturing industries quite well. At the same time, we are eager to learn something new every day. We are passionate and opinionated specialists and we do anything to help our clients win. Our collaborative approach is what sets us apart and enables us to achieve sustainable results. We want to really understand the business and operations of our clients. We love to smell the oil or tomato soup, to feel the vibration of machines at work, and to meet the people that make organizations tick. We work side by side with clients, from inception to implementation. It is during this process that we come up with our best ideas. For us, it’s a sustainable result that’s important, not a report. Do we have aroused your interest? Meet one of our consultants at the Presentatiedagen and/or Gesprekkendagen and we can tell you a lot more about ourselves, our work and the career opportunities. 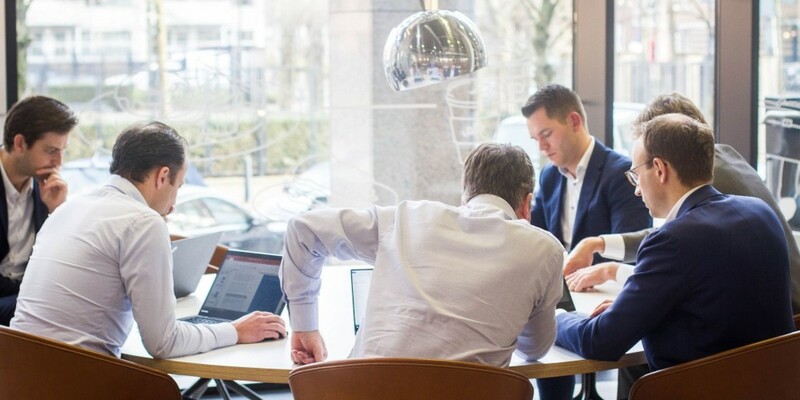 We are looking for independent, socially adept team players with a solid analytical foundation – people who are genuinely inquisitive, work in a results-oriented and organized way, and have strong communication skills in both Dutch and English. To start as an Associate, an academic background in supply chains or operations is no requirement. However, we expect you to have an eagerness to learn. We are looking for academic graduates with demonstrable solid analytical skills, above-average grades, and relevant extracurricular activities. At M3 Consultancy, we are ambitious and have an entrepreneurial spirit. It is our aim to grow significantly in the coming years. Therefore, we are constantly looking for new colleagues with whom we can join forces to further build our management consultancy firm. We offer starting Associates a challenging experience in a fast-growing entrepreneurial environment where you get to decide how steep your learning curve is. It is our belief that consultancy is like craftsmanship, that it is best learnt working side by side with experienced consultants. Therefore, in addition to our extensive training program, you will be assigned an experienced consultant as your mentor. M3 Consultancy offers ample room for your initiatives and your personal development. Right from the start, your opinion matters: you will be actively involved in business development and innovation immediately. We are passionate about our work and take our deadlines seriously, but we also believe in a healthy work/life balance, so you can continue to develop yourself outside the workplace. Our application process comprises 5 phases after which we hopefully can offer you a job at M3 Consultancy. After the approval of your résumé, grade lists and motivation, you are invited for an open-ended personal interview with one of our consultants. It provides you the opportunity to get to know M3 Consultancy better and ask all your questions regarding our projects, customers, team and approach. Assuming you are still enthusiastic afterwards, you are invited to make an online assessment. If your tests scores are sufficient, two case interviews will follow. After having become acquainted with another M3 consultant, in these interviews you are asked to solve a short quantitative case. Is your interest sparked? Send your résumé, high-school and university grade lists, and a brief cover letter to Tim via tim@m3consultancy.nl. Do you have any questions? Don’t hesitate to email Tim, or call him at +31 630580195.